The event was attended by the Minister of Foreign Affairs of the Sultanate of Oman, Yusuf bin Alawi bin Abdullah; the Ambassador of the State of Qatar to the Sultanate of Oman, Ali bin Fahad Al Hajri; Qatar Airways Group Chief Executive, Akbar Al Baker; as well as many other notable government representatives and business leaders. The design concept of the building was led by contemporary and minimalistic design language. 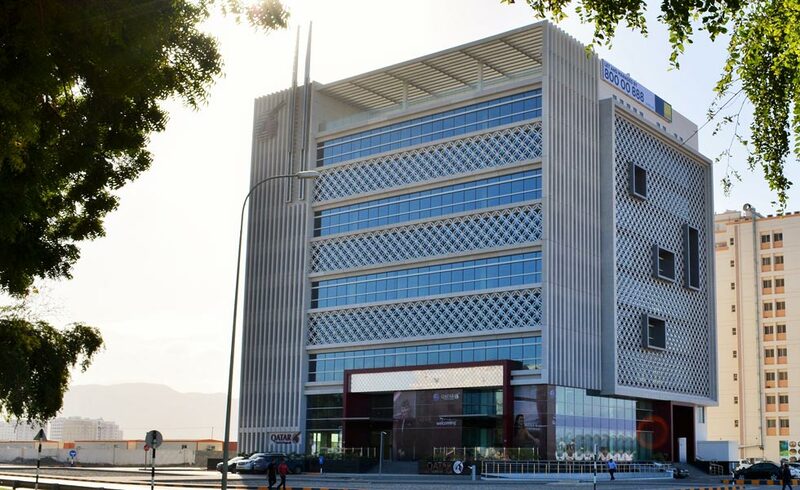 Special attention was given to the building’s orientation towards the sun where façade design played a major role in reducing the solar exposure. The façade aesthetic was conceived from a double skinned modern architectural style using sun-screening elements. The façade also highlights protruding volumes and vertical lines to further emphasize the simplicity of the architecture. In line with Qatar Airway’s commitment to social and environmental responsibility, the project was carried out with high regards to adequate management of occupational and environmental hazards and risks with clear emphasis to those who would be affected by the on-going construction.